DCM is a leading Silicon Valley venture capital firm. 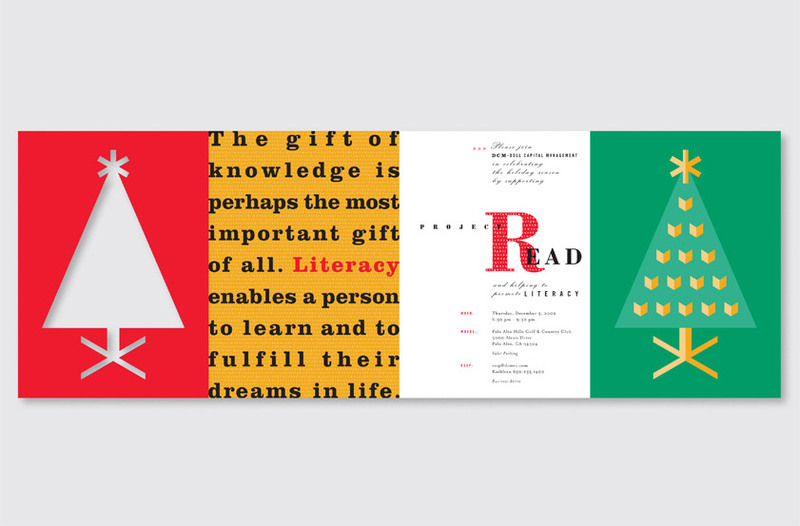 Their holiday party functioned as a benefit for Project READ, enabling DCM’s invited investors and entrepreneurs, most of whom are highly educated, with an opportunity to support adult literacy. 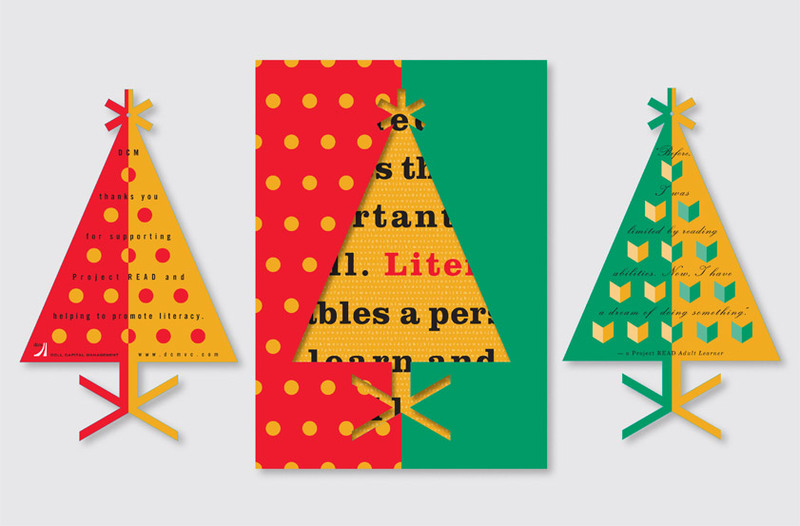 Our solution links the event’s holiday theme with the cause of literacy by creating a Christmas tree which transforms into a “tree of knowledge.” The viewer first encounters a window in the shape of a Christmas tree, revealing a statement about literacy, then the formal invitation, and finally a symbolic tree composed of open books. 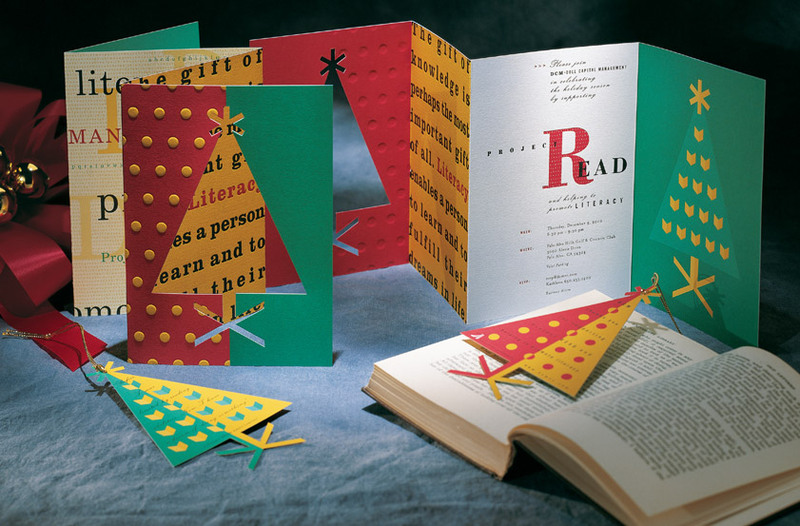 The holiday ornament bookmarks are die-cut from the front cover of the invitation, leaving no waste. The Christmas tree at the party was decorated with the holiday ornaments, which were given to attendees to use as bookmarks year round as a keepsake of DCM’s event and Project READ’s mission. 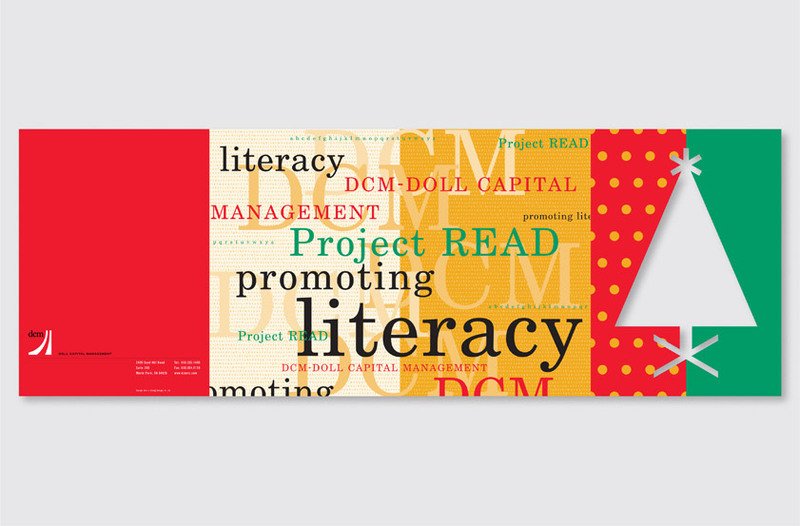 The event attracted twice as many guests as DCM expected and was a highly successful fundraiser for Project READ.